"The Extinction Machines Part 1" by Bryan Hitch, Tony S. Daniel, Sandu Florea, and Tomeu Morey. The Shrine has been a bit behind keeping up with Aquaman's other appearances in the DCU, post-Rebirth. 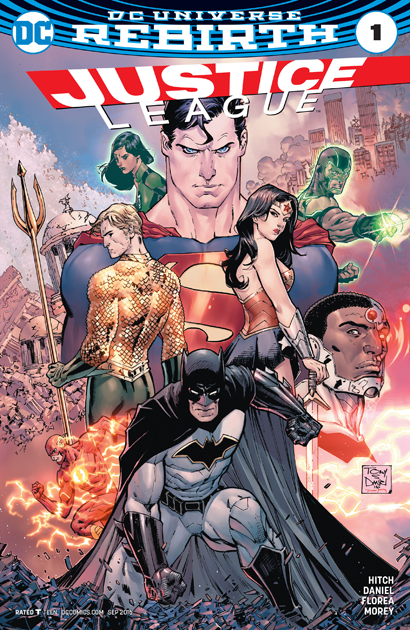 So this week we'll be catching up with the Sea King as he fights along his fellow heroes in the new Justice League! The globe is hit by a series of extinction-level events, with each of the Leaguers trying to deal with the catastrophes. Of course, one of the places hit is Atlantis. 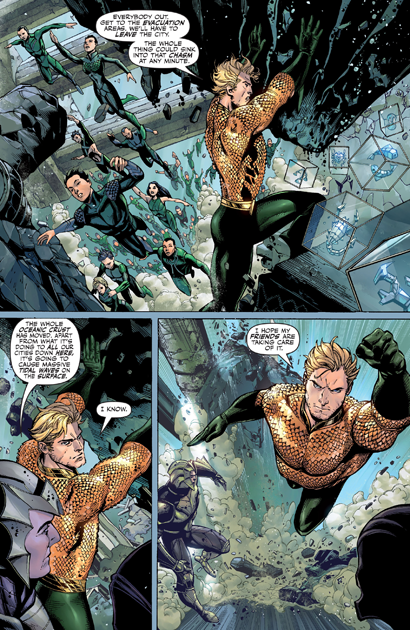 As Aquaman is trying to run the rescue effort, he is surrounded by a strange group of beings who mutter about "stolen words." They swarm Aquaman and take him down. 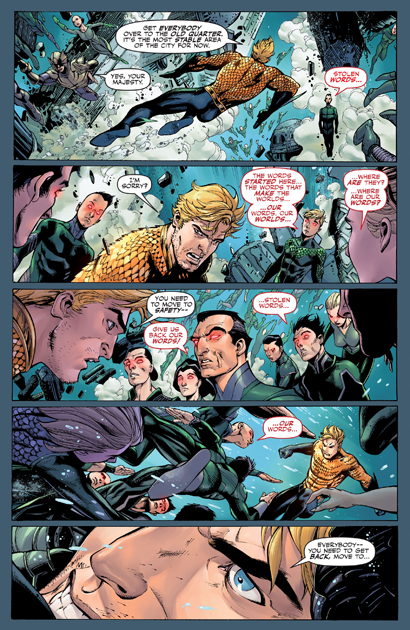 Aquaman only appears in two pages of out the book; what you see above is his entire role in the story. But thanks to Tony Daniel and Sandu Florea he looks great, so it's on to issue #2!